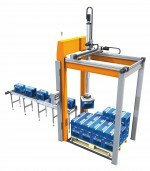 Omron says it has an extensive range of industrial automation products and a worldwide reputation for high quality. The system integrator partnership with HepcoAutomation is designed to make automation and robotics expertise available to all end users and machine builders no matter what experience they have. To assist in the whole process customers will have the opportunity to use Omron’s extensive demonstration centre at Milton Keynes.